Jeanne Lanvin suit ensemble in black rayon canvas. 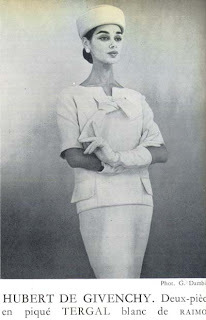 White two-piece ensemble by Christian Dior. 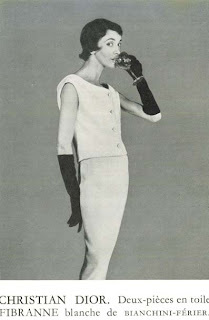 a favorite designer of Audrey Hepburn's. 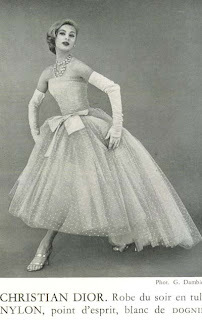 Christian Dior robe du soir in white tulle and point d'esprit. 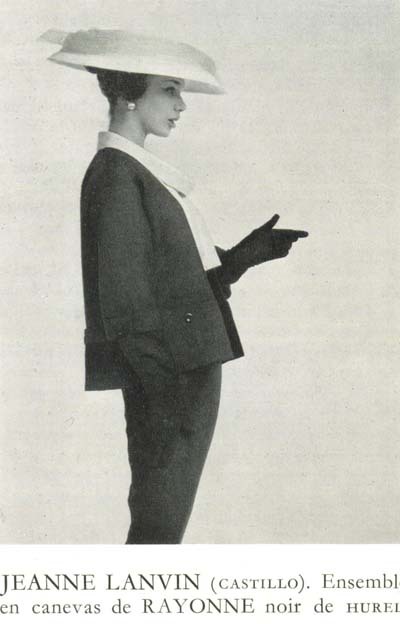 Au revoir, until next time Vixens!